1. Casa Hogar para Ninos Esperanza: Cancun’s only Christian orphanage located in Colonia Alfredo Bonfil. 2. Ciudad de la Alegria A.C.: “City of Joy”: A Catholic multi-function shelter on Cancun’s west side. Our work is primarily with the Women and Children’s Shelter. 3. Centro de Integracion para Drogadictos y Alcoholicos A.C. (CIDA): A private addiction recovery facility located in Leona Vicario. We are the primary benefactor for CIDA. WOW!!! Over the past 2 weeks, we delivered two large bags of clothing to CIDA along with six large bags of clothing, two large bags of shoes and two large bags of toys to City of Joy. The donation came from one of our loving mission partners and, as you might guess, we were overwhelmed by their generosity. A local mission partner, the manager of a Cancun beauty school, continues to furnish beauticians to cut hair at CIDA every other Tuesday. Besides performing a much needed service, their work helps restore some dignity to the lives of the residents of CIDA. This week, we received a substantial donation of vitamins and toothbrushes and we are very grateful. A small gesture with a huge impact. Both items are desperately needed by the residents of CIDA. For contributions through PayPal, our PayPal address is tom@cdymexico.com. 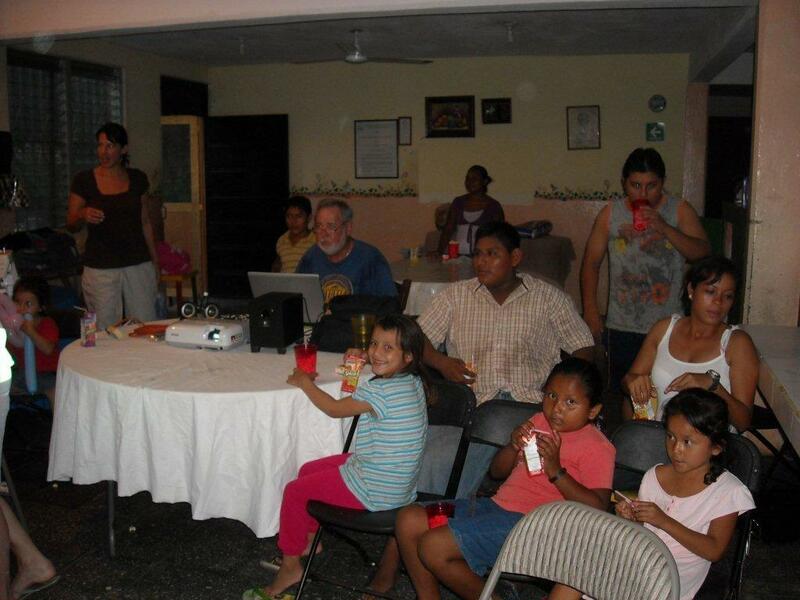 Our goal is to furnish Christmas gifts for 140 and to provide Christmas dinner for the 121 residents of CIDA. As you can see, we truly need your help. No donation is too large or too small and all donations will be appreciated. Usha, your Cancun Christian family is very proud of you. Katherine Phillips is our Team Leader for our Building Spiritual Bridges Outreach with City of Joy Cancun. To assist Katherine, contact her at church or email her at kphillips99@hotmail.com. Our Christian Men’s Group (the CCF Good Guys) meets every Tuesday at 10:00 AM sharp at the McCafe at the intersection of Nichupte and Kabah. Supplies for CIDA are purchased and delivered every Tuesday by CCF Good Guys. If you would like to be a part of our work, contact Tom Martin at church or tommartinmx@gmail.com. Remember, Community of Faith Cancun always meets at 10:00 AM SHARP at the La Quinta Hotel Downtown.